This term has flown by. In our last week or term we have continued our fractions work, multiplying fractions by a whole number. The children have done really well to remember and apply all their learning on fractions. For English we have continued to understand the characters in 'There's a Boy in the Girls' Bathroom' and looked at the dialogue between the characters, turning it into a play script. The children identified the dialogue and rehearsed it before showing each other and writing the script. In RE we have been looking at the importance of the story of Easter, and the class had some interesting debates around the theme of forgiveness and whether Easter or Christmas was more important for Christians. 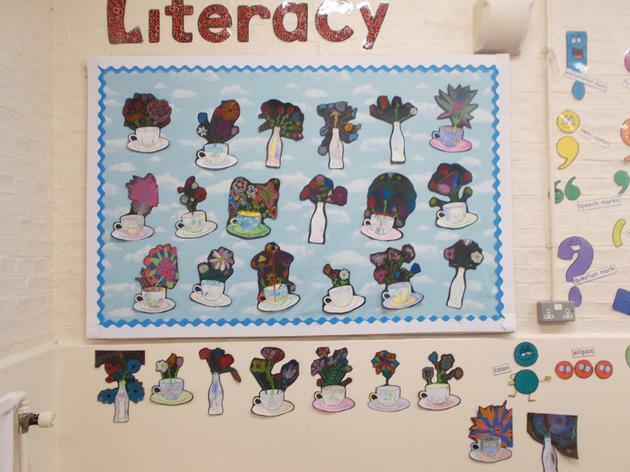 We have also covered all the Mrs Wordsmith words for this term, and the children have done really well in remembering them and using them in their own writing, or spotting them in their reading books. This week we have been revisiting fractions as part of our maths work. We started the week by taking our maths into the playground to explore equivalent fractions, and finished the week by adding and subtracting fractions which have a different denominator. We have finished off our electricity unit, but continued with the theme of the dangers of electricity for our PSHE work, which is about keeping safe in different contexts. We have started a new focus text for literacy, 'There's a Boy in the Girls' Bathroom' by Louis Sachar, and have written some amazing diary entries in the role of the main character. In PE we started Athletics and practised our long jump and relay. We have also been designing and programming a character game as part of our computing work. This week is Science Week and some of the parents who work in the field of science have been in to talk to the children about science in the real world and carry out some experiments. We have learned how to make ice cream with Mrs Pratt, a pharmacist. Beth, a science teacher showed us some experiments we can do at home involving making exploding volcanoes with baking soda and vinegar, and a density experiment. She also showed us how to make a master piece with milk, food colouring and adding fairy liquid to see what happens. We also looked at what happens when you place an egg in vinegar and how colours are separated through a chromatography experiment! The science continued and on Thursday we had jet engines explained to us by Mr Arnold, who tests jet engines at Cambridge University. And if that isn't enough for science week, we also undertook our own investigation and combined the science week theme of 'Journeys' with our topic of 'Electricity' and investigated the journey that electricity makes around a circuit. We made some 'art' with salt dough and included our pieces in the circuit, and asked the question 'Does salt dough conduct electricity?' We learned that the salt conducts electricity and the children were fabulous at scientifically investigating and writing up their results for the Science Market Place. During all this scientific excitement, the children also had their class assembly where they were absolutely brilliant at performing The Promise, a picture book by Nicola Davies, to their parents. They have all done brilliantly! What a busy and exciting week! This week is 'Bikeability' week, when Fir Class have been bringing their bikes to school and going out with qualified instructors to learn how to ride their bikes safely on the road. Back in the classroom, they have designed posters on how to stay safe when cycling as part of PSHE. In maths we have been revisiting multiplication, using some big numbers to secure our grid method. We have been debating in English, and performing parables in RE. We finished off the week by wearing our pyjamas to school for Comic Relief, and learned about a boy called Farhad, a refugee from Iran. We have been continuing our maths work on converting units of measure, and this week we have been converting between imperial and metric units. We measured our length in the playground and converted between feet and inches, centimetres and metres. We also had a great time dressing up as book characters for World Book Day and carried out a World Book Day-themed maths challenge. We have continued our work on the poetry book 'Locomotion' by Jaqueline Woodson. The poems this week referred to street language, so we have been discussing formal and informal speech and wrote our own poems using street language and performed them to the class. This week we have been looking at Measure in maths and practising converting units of length, mass and capacity. 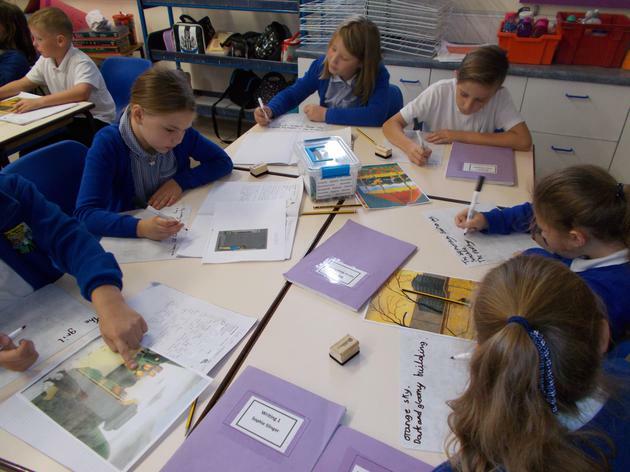 We have also started a new science topic - Electricity - and this half term the children will be building on their knowledge of what they have previously learned in Year 4. We began by reminding ourselves about the components of a circuit. The children immediately got to grips with the equipment again, and began building their own circuits and testing them. It looks like the next few weeks are going to be electrifying! We have had a very busy and exciting week this week. The children undertook the 'Space Lander Challenge' for Maths Week, where they put their maths skills to the test and became engineers to design and build a contraption that could bring a precious dessert from an alien spaceship safely to Earth. We used paper cups and cardboard for our landers, and the aim was to keep two marshmellows in the cup without them falling out when dropped from a height. The children really rose to the challenge and worked well in groups as they designed, built and tested their creations, which we then showcased in the Maths Marketplace. We finished the week with our space 'Inspiration Day' where we dressed up in space-themed clothes and took off to the woods. The children were told their space capsule had landed on an alien planet, and they were asked to build a shelter to protect them from the elements and aliens while they waited for help to arrive. 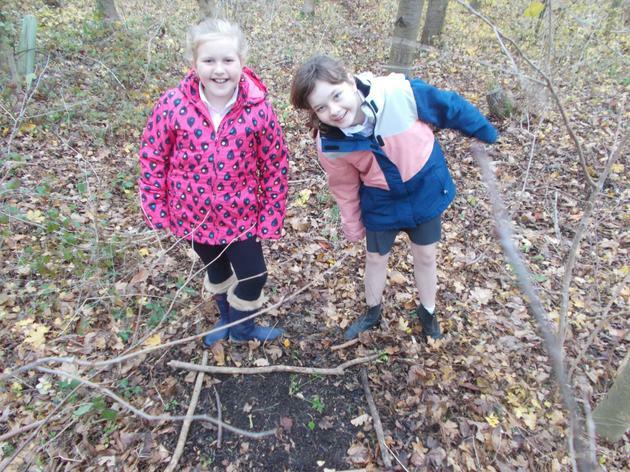 We discovered some shelters may not have held up to an alien attack after Mr Tull tested them with some water - and many of the children got wet! 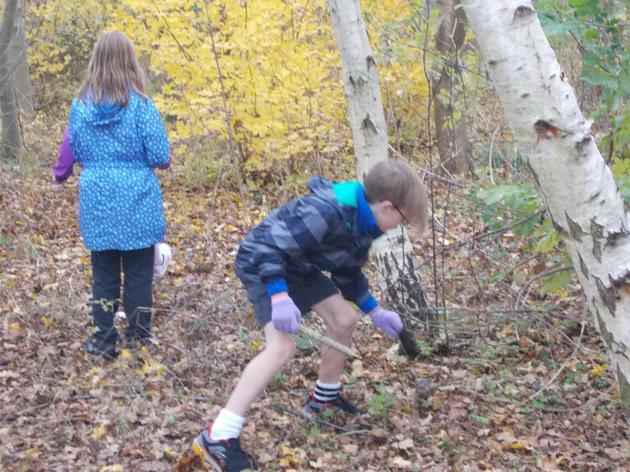 Again, all the children did some amazing group work and problem solving and it was great to see the children work together and apply their learning in a different setting. The children have really been enjoying the 'Mrs Wordsmith' work we have been doing, where we have been looking at new words each day. We have been learning lovely words such as 'affluent', 'splattered' and 'lashing', and this week the children chose to put some fantastic sentences together using as many of the new words as they could. We have also begun to look at the poem book 'Locomotion' in our Literacy work. 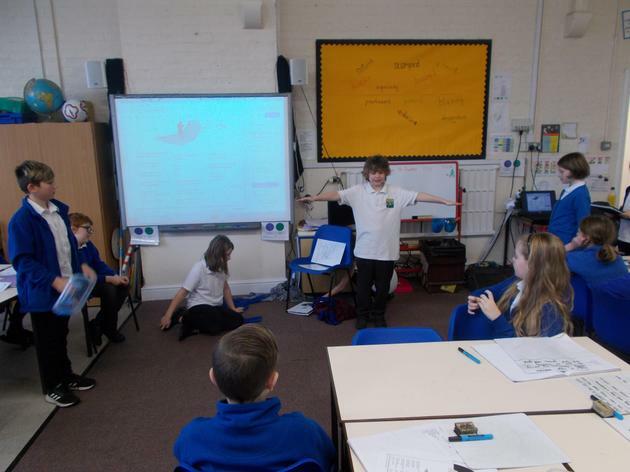 In groups, the children interpreted one of the poems and created some brilliant performances to share with the class. The children have also enjoyed composing their own percussion pieces after listening to and discussing 'Mars - Bringer of War' by Gustav Holst as part of our Space topic. They created their own pieces, after paying attention to the repeating pattern in the music (ostinato), the tempo and dynamics of the piece. For maths we have revisited transformation of shapes, and again took our work outside to draw reflected shapes in the playground. We are looking forward to Maths Week next week! This week we have fun taking our maths work outside. We have been learning about the different kinds of angles and measuring them accurately. We worked in teams and applied our learning outside by looking for angles in the playground and measuring them. 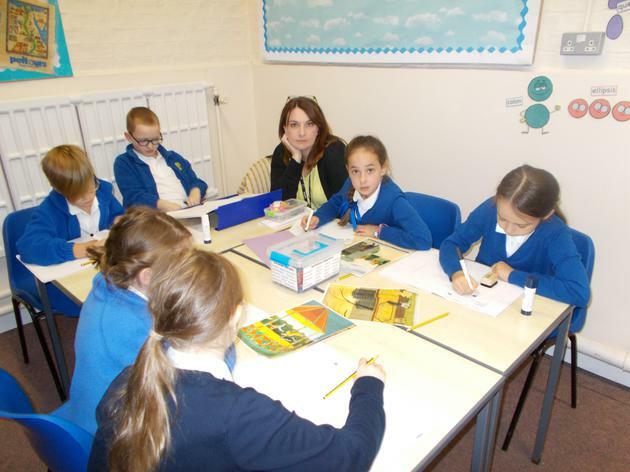 This week we have been writing, editing and improving our news reports about the moon landing. In maths, we have been learning how to represent data in line graphs, and drawing them accurately. The children demonstrated how they have a ‘Growth Mindset’ by showing resilience and perseverance when drawing their graphs. We have also looked at the Phases of the Moon, and learned a catchy song to help us remember the different phases. The children also got creative after studying the space artist Peter Thorpe and his abstract paintings of rockets. As a result we have planned out and begun to produce some lovely, bold pieces of abstract ‘space art’ of our own. We have been learning some mind-blowing facts about Space this week! We have been trying to get our heads around the size of the Solar System and the distance between the planets and the Sun. We made a 'pocket Solar System' using a long strip of paper and marked the where the planets were on the scale in relation to the sun. We've also been learning about how the Earth and Moon orbit the Sun and we acted this out in the playground. Children wore yellow headbands to represent the Sun, green headbands to represent the 'Earth' and a white headband to represent the Moon. The children in green had to go round in a circle to 'rotate', whilst moving around the Sun. The children have also started to bring in some amazing baking and space poems as part of their homework projects as well! This week we have been looking at the first moon-landing as part of our literacy and discussing the features of newspaper reports. In maths we have been practising big numbers, rounding, revisiting decimals and solving some space-related maths problems. We have begun to look at what we already know about Space (which already appears to be quite alot!) and identify what we are looking forward to finding out. We have been researching the planets and have had a go at creating some mnemonics to help us remember them. We have had a great start to the Spring term. This term, we have started our new Earth and Space topic. We have linked our Maths and PE lessons together whilst learning how to be astronauts. As we hit our penultimate full week of 2018, things were changed up a little. In English, we look at Poetry and the various techniques. The children wrote some lovely poems, their personifications ones being especially good! We finished the week by perform one called 'Frozen Man'. In maths we have been looking at perimeter, area and volume. The children tackled a challenging concept very well, and they will have many opportunities to apply their knowledge as the year goes on. With materials as a topic coming to an end, we have moved onto art, specifically that of Andy Goldsworthy. 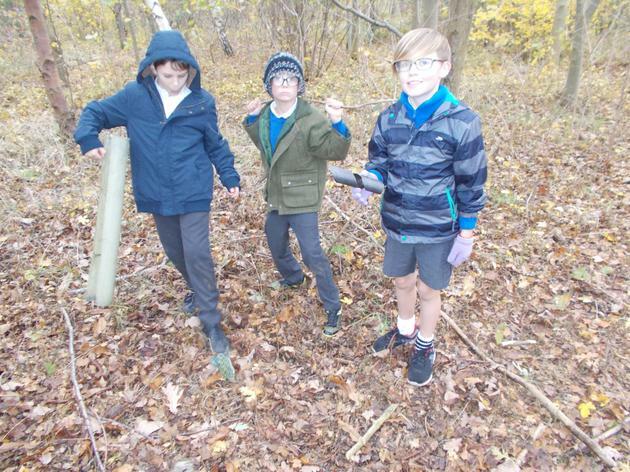 We went out to find natural materials and make observational drawings, and then we had a debate about what art was... and was Andy Goldsworthy's work actually art? We finished by creating our own versions of his own art using paper- next week we will be going to the forest to create it in real life, as well as creating nature sculptures. The final week of December saw us get the opportunity to finish off our work on The Promise. The children wrote their own versions, featuring a city where colour was banned. They have been able to apply the different techniques we have looked at, and some of the vocabulary the children have used has been phenomenal- they've been hunting down some very exotic words in the thesaurus! We have looked at angles and how to measure/ draw them this week. It was the first time many of the children had used a protractor, but they picked it up quickly, which was great to see. We also did a maths test, and when we went through it the children began to realise how many careless errors they had made because their 'checking' of their work hadn't been very thorough! We started and ended the week off with a bang... not literally, but pretty close, as we used the fire pit to investigate reversible and irreversible changes on Monday, and then went further and studied the effects of menthos and coke on Friday! Our materials topic has now come to the end, but the children have really developed their scientific understanding over the 3 weeks, and their home work experiments were great! Maths has seen us tackle the dreaded decimals! 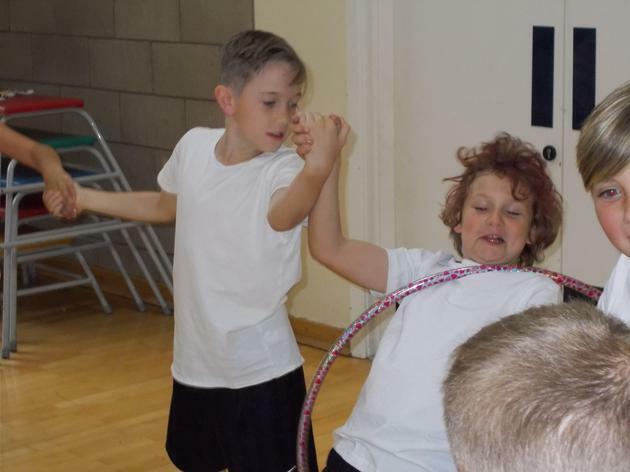 To the children's credit, they have really embraced the challenge, and we had a great lesson on Thursday where the children measured the length of their jumps and then practising rounding decimals, as well as converting decimals into fractions. English has been a one off week due to writing assessments- the children were given a picture as a stimulus and had to turn it into a story. They have found out the hard way about editing and rereading their work! I sit here typing this a very proud teacher. I have just finished marking the children's English work and it's brought a tear to the eye! We have been writing our retelling of the Promise narrative and the work has just been exceptional! I honestly can't remember the last time I was this impressed with a whole class' piece of work. We have begun looking at fractions in maths, and once again the children have done a great job of tackling new concepts such as mixed numbers and improper fractions! The school has been doing a 'celebrating differences' week. Our class have looked at job stereotypes, and the children really got to grips with the idea that anyone can do any job! There has been lots of good discussion and debate, and they produced some very creative work. Phew, what a week! The children are firing on all cylinders at the moment, and it is fantastic to see! In maths we tackled the dreaded division, learning the new bus stop method. Despite being a tricky concept, they handled it excellently, which was great! English has seen us progress with our promise work. The children wrote haikus and simile poems, alongside various descriptive paragraphs. They are being adventurous with their language and using all the techniques we have looked at. Science saw us starting doing some experiments link to materials and their properties. 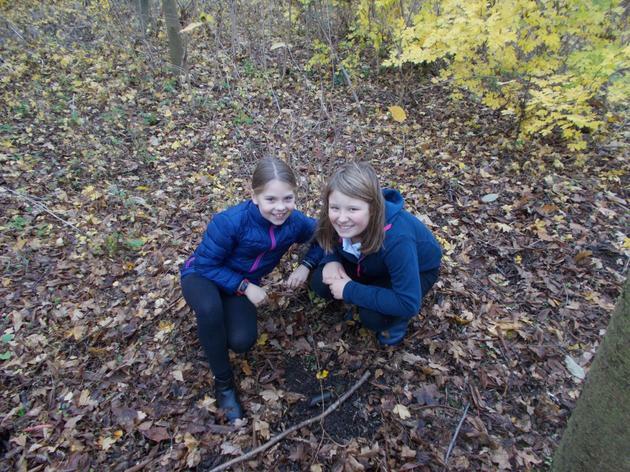 We even popped over to the forest in order to get to grips with some of the properties out there! Welcome back! Hopefully everyone had a wonderful and resting half term for the approximately 29 seconds that it lasted. Maths this week has been long multiplication, and the children have been shown a new method- column multiplication! They have taken to it beautifully, and I've been really impressed as to how they tackled it. Next week will be learning long division, so that will certainly be an interesting challenge! In English we have begun one of my favourite units of work, based around a book called 'The Promise.' It's a fantastic story, with excellent language and great pictures. Unfortunately for the children, we haven't actually read it yet... a new little bit of information has been teased each day... and maybe, just maybe, we will get to read it next week! The children have already produced an incredible piece of descriptive writing though. Our new topic has sort of begun this week (Harvest Festival took priority), and this is Materials and their Properties! We began with an experiment, and will continue to do so over the next couple of weeks. This ties in with our new homework project! 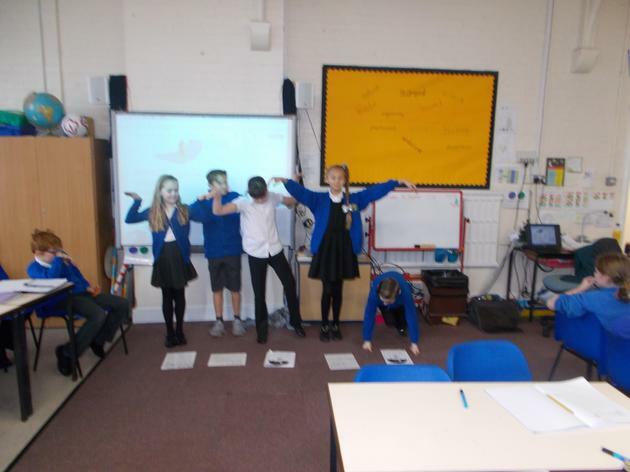 The final week of the half term saw us turn our advertising skills to the pyramids of Egypt. The children had learnt a variety of techniques the previous week, and now was their opportunity to sell the great Pyramids of Giza! The children did a fantastic job applying exaggeration, rhetorical questions, superlatives and the rest, alongside the subordinate clauses we have been focusing on all half term. With last week being such a big success, we turned our attention to Column Subtraction. 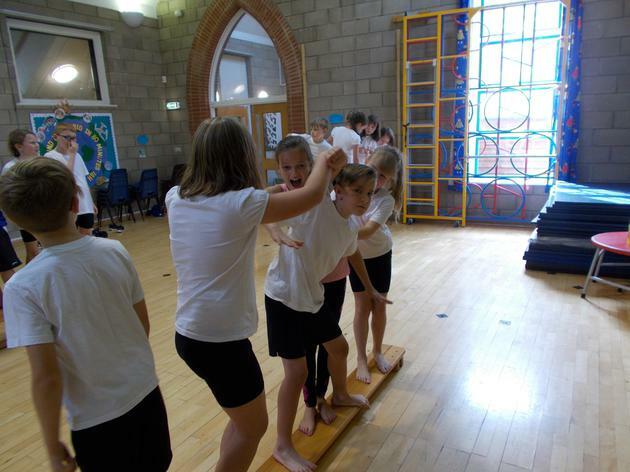 However, the children were very accurate with their methods, and managed to avoid all the standard pitfalls! Mixed and 2 step word problems did provide a bit more of a challenge, and so this is something we will need to focus on moving into Autumn 2. Sadly, we have also now drawn our Ancient Egypt Topic to a close. We ended this with a quiz, in which the children had to develop the questions themselves in groups... there was an impressive focus in the room, as well as some interesting team names! The children also created their own Ancient Egypt powerpoints and presented them, giving them a chance to show off their animation and transition skills for the most part. Having finished our Voices in the Park unit, the class made a move into the world of advertising. The initial challenge was certainly an interesting one for the children- they had to sell a blue chair! Lots of ideas were thrown around, and it was very impressive to see the children take on the advertising lingo with much aplomb! They ended the week by writing their own holiday adverts for exotic locations, which was all very exciting! 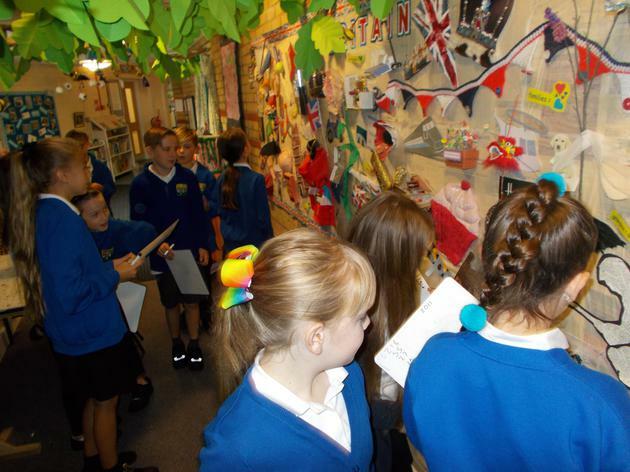 As we soared into the beginning of October, the children were confronted with a rather different week! Only two days of lessons before the residential, but we crammed in some bits- the children typed up their Voices in the Playground stories, as it was the first piece of work to go into their independent books, and in Maths we did some exciting maths challenges that the children really enjoyed! We even tried a Philosophy lesson, which really hooked the children- they just wanted to keep on debating and before we knew it, a 20 minute lesson had turned into an hour long lesson! The last week of September sure has come around quick! This week we got to write our Voices in the Playground stories, and then type them up.. we certainly could do with some practise with quick typing! Maths was all about Subtraction. We also were introduced to word problems and how to solve them using RUCSAC! Ancient Egypt is still our topic- we have learnt more about the aspect of death this week! Tombs, the weighing of the heart and mummification were all the menu. It's the residential next week, so some of us are all very excited for that! This week saw us really get into the swing of things with our Voices in Playground work. The children have been really enthused to tell their stories, and the quality of work has been exceptional, far better than they should be achieving this early on in Year 5! Maths saw us start looking at mental methods for addition- we looked at partitioning, near doubles and rounding. 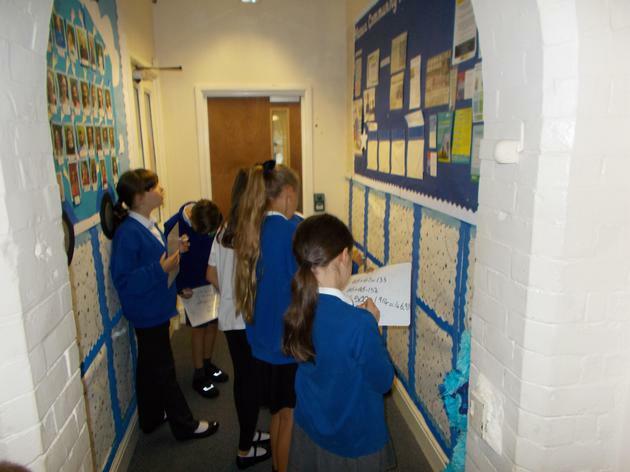 In one lesson, we even toured the school, looking for any numbers we could find and adding them together! Our Egypt topic is moving along smoothly, as we are now looking in a more focused way at the Egyptian way of life. We even got to make top trump cards for the Egyptian gods! Our first full week saw us carry on our learning about 'Voices in the Park.' In maths we focused on the basics of place value, as well as rounding, and got a bit of a shock when we did our first test paper of the year! Our Topic is Ancient Egypt, and we have done some geography about the country, as well as researching the River Nile. We finished the week with some pastel work based on the final image in 'Voices in the Park', and the children did a spectacular job!